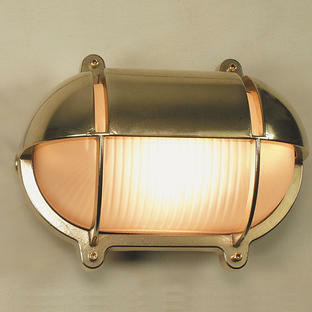 For a more decorative brass bulkhead light fitting. 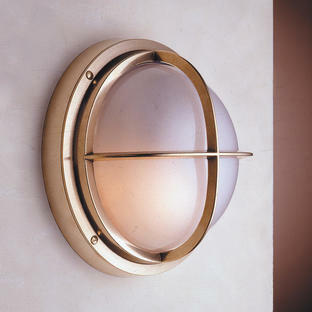 These outdoor solid brass bulkhead lights have a polished brass finish, with patterned clear glass. 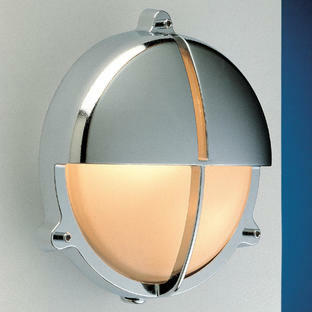 The lights are suitable for use as either a wall or ceiling light. 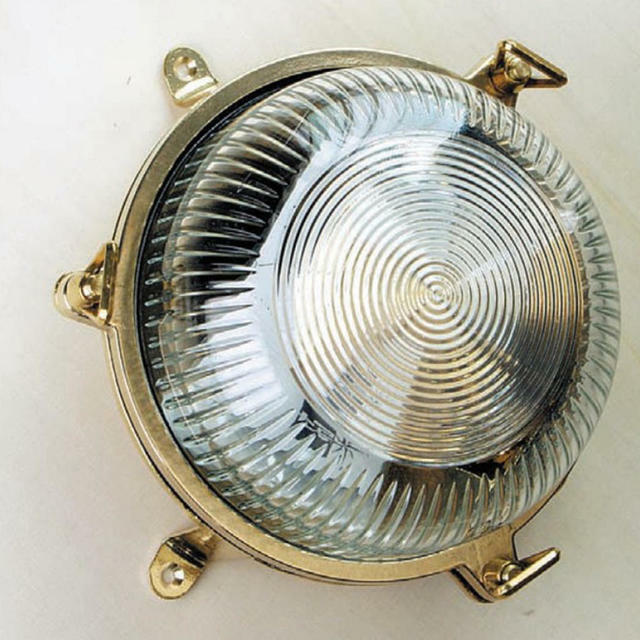 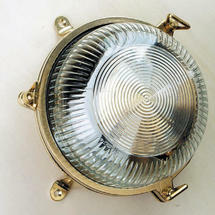 The bulkhead light features three external fixing legs.